Have you heard of the term ‘keylogging’ before? Its okay if you haven’t but in the modern world when cyber security is becoming extremely important, it is good to know. Cyber criminals can steal your data by keeping a track of your keystrokes while you are browsing. They will know exactly what you are typing and where you are typing it. This is very dangerous as it puts a lot of our data at great risk. . GuardedID® prevents this and ensures that your keystroke data is encrypted. So when you type, keyloggers will only be able to see a meaningless sequence of numbers. 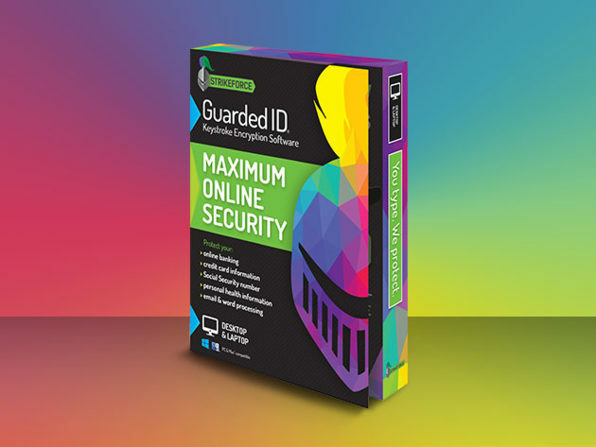 This GuardedID® version 4.0 comes with updates so you don’t have to worry about it becoming outdated. It is compatible with Windows 7, 8.1, 10, Mac OS X 10.7 or later. The browsers that support it are Internet Explorer, Chrome, FF, Safari and Opera. GuardedID® must be redeemed within 30 days of purchase. You can only use it on one computer and you will be secured from hackers and security breaches for one year. So get the deal before it expires and stay safe.